The Russian Revolution was one of the most important events of the 20th century. It had a massive impact on the world and revolutionary movements, especially in the period after world war two when many groups seeking to imitate the Bolshevik triumph in Russia came to power. The revolution itself shows two main things. Firstly, the revolution validates anarchist critiques of the “workers state” or “dictatorship of the proletariat” advocated by Marxists and other authoritarian socialists. Anarchists have long predicted that these schemes would inevitably result in the creation of a new bureaucratic ruling class that dominated and exploited the proletariat, a prediction that was proven correct in Russia and subsequent state socialist revolutions. 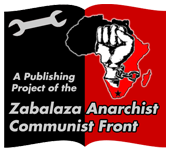 Second, the early phases of the revolution provide an example of how society might be run in an anarchistic manner without capitalism, the state or other authoritarian systems. Text originally downloaded from: http://question-everything.mahost.org This version found at: www.unlikelystories.org/. The text no longer exists at either site.